Led by composer/guitarist Joshua Davis, traditional roots music is celebrated here by plaintive vocals and sweet harmonies, plus musicianship that is positively staggering. The number of instruments manned by Davis, upright bassist Dominic John Suchyta, steel guitarist Joe Wilson and the harmonica-playing Andy Wilson includes trombone, trumpet, Cajun accordion, dobro, slide guitar, Cajun fiddle, clawhammer banjo. Performing everything from the standards of the 1920's to reworked covers from their 1980's childhood, The Springtails entertain audiences young and old. 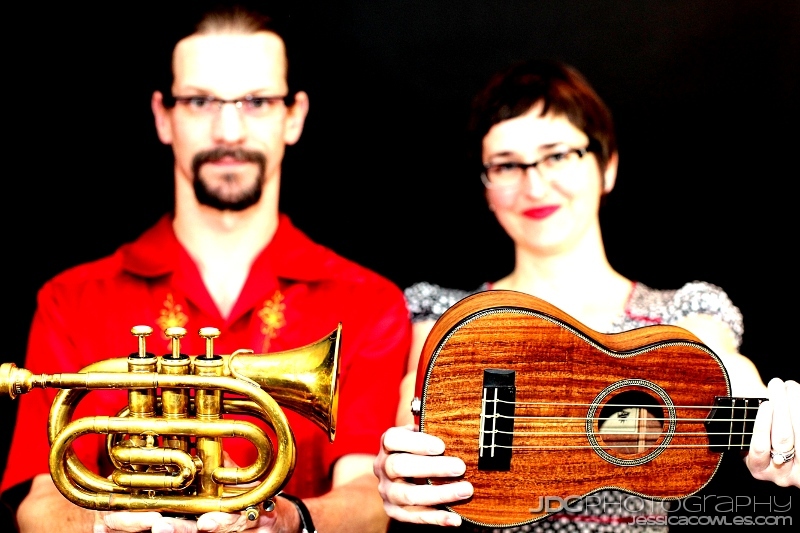 Julianna Wilson provides lead vocals and ukulele, while Andy Wilson (her husband) offers a variety of rare instruments and harmonies. The Wilson Brothers blend a variety of American traditions to create their own unique sound. Andy and Joe are both longtime members of one of Michigan’s favorite bands, Steppin’ in It. ​At a Wilson Brothers show, Andy and Joe bring their collective multi instrumental skills to the forefront, with Andy on harmonica, Cajun accordion, and trumpet, and Joe on guitar, dobro, hawaiian guitar, and fiddle. Joe and Andy sing harmonies like only brothers can, and perform stunning instrumentals. From New Orleans jazz to western swing, cajun to blues, the Wilson Brothers play it all, and with dazzling precision. _Focusing on jump blues and the little big band sound of the 1940′s and beyond, the Kings play the music of legends like Count Basie, T-Bone Walker, Roy Brown, and BB King along with original compositions and modern classics. They personify the party-time culture so popular in post-war America, and so prevalent today. _Celtic-American mash-up from a Michigan favorite. From expertly constructed Celtic-rock gems like "The Lucky One” and "Bad Tattoo,” to beautiful, heart-felt ballads like "Johnny Come Home,” The Lash provide something for everyone to enjoy. _Songwriter and singing phenom Rachael Davis and genre-defying quartet Steppin' In It found a common love for jazz music of the 1930s and 40s after playing concerts as a double-bill. The summer of 2006 found the two Michigan acts working at the same festivals, as classic tunes from Nat King Cole or Sarah Vaughan found their way onto set-lists. By the fall, the quintet was dubbed Shout Sister Shout and an album was in the works. The group is signed to M.C. Records out of New York, and their debut album was released in the Spring of 2009. 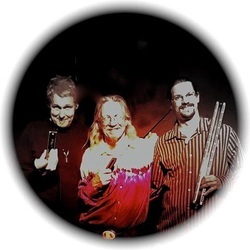 Michigan's true modern harmonica trio, Warbling Legatos, formed for a special concert entitled the "Michigan Harmonica Summit." The trio pays homage to the great Harmonicats, while exploring new avenues for the harmonica trio format. Peter "Madcat" Ruth leads the group on diatonic harmonica, guitar, and ukulele. Randy Marsh provides diatonic and chromatic harmonica, and adds drum set. Andy Wilson completes the group on bass, chord, diatonic, and chromatic harmonica. The result is a unique and entertaining combo, showcasing endless possibilities for the "tin sandwich."